Shoreline likely to recede over the next decade at the northern and southern ends of the Salton Sea will be targeted for habitat and dust-suppression projects under a 10-year plan released today by the California Natural Resources Agency. The plan details the number of acres of lakebed expected to face exposure each year from 2018 through 2028, the number of acres to be covered through proposed construction efforts, and the projected annual costs of the effort. At an estimated total of $383 million, the costs of the projects needed to cover nearly 30,000 acres of exposed lakebed over the next decade outstrip the currently available funding of roughly $80 million. But state, federal, regional, tribal and philanthropic agencies will continue to seek funding in their long-term effort to protect air quality and wildlife habitat at the Sea. As the Salton Sea shrinks for a variety of reasons, air quality in Riverside, Imperial, and surrounding counties suffers, because particulates small enough to be dangerous to human health are picked up by the wind from the exposed lakebed. Huge populations of resident and migratory birds are at risk, too, especially the fish-eating pelicans and cormorants that depend upon the tilapia that will no longer be able to survive in the Salton Sea if it grows increasingly salty. In May 2015, Governor Edmund G. Brown Jr. created the Salton Sea Task Force and directed agencies to develop a comprehensive management plan for the Sea that will meet a short-term goal of 9,000 acres to 12,000 acres of habitat and dust suppression projects. The Governor also set a medium-term plan to construct 18,000 acres to 25,000 acres of habitat and dust suppression projects. The State’s 10-year plan, available here, describes the first phase of the Salton Sea Management Program created under the Governor’s direction. The plan targets areas near where the New and Alamo rivers carry farm drainage into the southern end of the Salton Sea and where the Whitewater River flows into the northern end of the roughly 35-mile-long lake. The State proposes to build a series of river outlets and ponds along the lake shore so river and lake water can be blended for use in wildlife habitat zones that also will serve to suppress dust. Intermixed with these projects will be additional dry-land dust suppression projects to protect air quality on lands where habitat is not feasible. 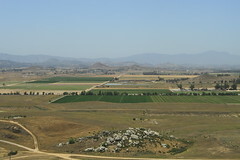 The State’s many partners in this effort include the Salton Sea Authority, Imperial County, the Imperial Irrigation District, the South Coast Air Quality Management District, the Water Transfers Joint Powers Authority, the Audubon Society, Coachella Valley Water District, San Diego County Water Authority and the U.S. Bureau of Reclamation. The habitat and air quality work will help fulfill the goals set forth in a Memorandum of Understanding reached in August between the U.S. Department of the Interior and the California Natural Resources Agency. In addition, the state of California has committed more than $80 million in voter-approved bond funds to restore habitat and suppress dust at the lake in the near term. A $14 million grant from the state Wildlife Conservation Board helps to fund habitat conservation at the Salton Sea, and the Salton Sea Authority will administer a $7.5 million U.S. Department of Agriculture grant for water conservation, wetland creation, and air quality mitigation. 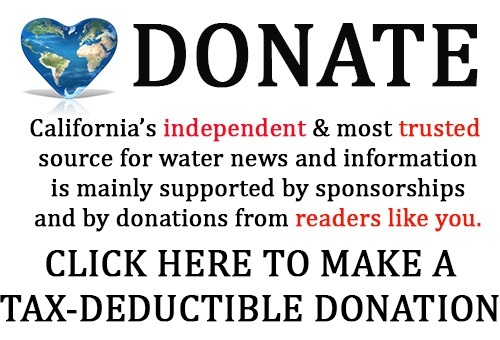 Potential sources of future funding include the Water Transfers Joint Powers Authority, created to administer funds involving a 2003 agricultural-to-urban water transfer, and federal agencies and philanthropic organizations. Inflow to the Salton Sea is expected to shrink significantly after 2017, when water transfers from the Imperial Valley accelerate and mitigation water deliveries stop under agreements reached years ago. The lake is saltier than the ocean. The California Department of Fish and Wildlife (CDFW) today announced the selection of 43 projects that will receive funding for the restoration, enhancement and protection of anadromous salmonid habitat in California watersheds, as well as forest legacy restoration. The grants, which total $15,297,743, are distributed through CDFW’s Fisheries Restoration Grant Program (FRGP). They include approximately $2 million allocated for timber legacy restoration projects and approximately $13.3 million for anadromous salmonid restoration projects. FRGP monies come from a combination of state sources and the federal Pacific Coastal Salmon Recovery Fund. In response to the February 2016 FRGP solicitation, CDFW received 116 proposals requesting more than $36 million in funding in total. All proposals underwent an initial administrative review. Those that passed were then evaluated through a technical review process that included reviews by CDFW and National Oceanic and Atmospheric Administration scientists. 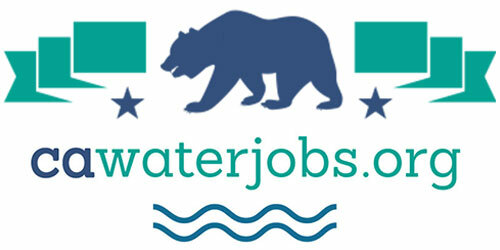 The 43 approved projects will further the objectives of state and federal recovery plans, including removing barriers to fish migration, restoring riparian habitat, monitoring of listed populations and creating a more resilient and sustainably managed water resources system (e.g., water supply, water quality and habitat) that can better withstand drought conditions. These projects further the goals of California’s Water Action Plan and CDFW’s recently approved State Wildlife Action Plan, as well as addressing limiting factors specified in state and federal recovery plans. The Legislative Analyst’s Office has posted the hearing handouts on the Sustainable Goundwater Management Act and the 2014 Prop 1 water bond that was presented to Senate Budget and Fiscal Review Subcommittee No. 2 on Resources, Environmental Protection, Energy, and Transportation. Click here to read the handout on Sustainable Groundwater Management. 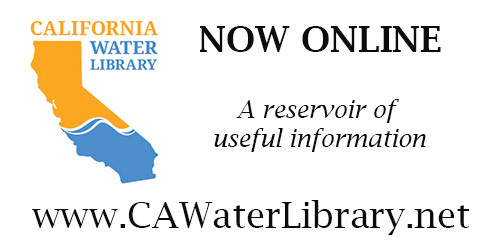 Click here for the hearing handout on the 2014 Prop 1 water bond.